2006. Hardcover. New. In this business management fable, one penguin notices something problem that could become a big problem for the whole colony, but the other penguins don't want to listen, so he must convince and enlist the help of others to get something done. 1998. Paperback. New. 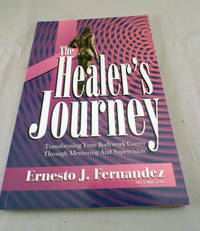 This book will teach you how to create a strong mentor/mentee relationship, and how to grow from that partnership. You will learn what mentors can offer you, ten reasons to become a mentee, how mentoring can help you manage your self-development, and how to pick a mentor. 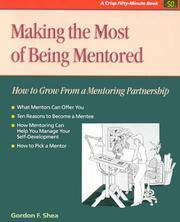 Mentoring programs have become prominent in many organizations, especially in today's highly technical environment. Developing a strong mentor relationship is beneficial to the mentor, the mentee, and the organization. Some of the many benefits of being mentored are self and career development, new perspective and insights into organizational culture, and performance improvement and talent development. 1995. Paperback. Like New. Nathaniel Branden's book is the culmination of a lifetime of clinical practice and study, already hailed in its hardcover edition as a classic and the most significant work on the topic. Immense in scope and vision and filled with insight into human motivation and behavior, The Six Pillars Of Self-Esteem is essential reading for anyone with a personal or professional interest in self-esteem. The book demonstrates compellingly why self-esteem is basic to psychological health, achievement, personal happiness, and positive relationships. 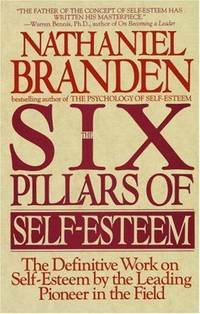 Branden introduces the six pillars-six action-based practices for daily living that provide the foundation for self-esteem-and explores the central importance of self-esteem in five areas: the workplace, parenting, education, psychotherapy, and the culture at large. 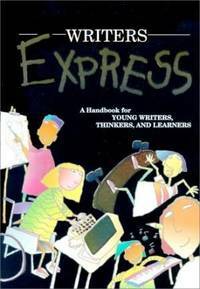 The work provides concrete guidelines for teachers, parents, managers, and therapists who are responsible for developing the self-esteem of others. And it shows why-in today's chaotic and competitive world-self-esteem is fundamental to our personal and professional power. 2009. Paperback. New. 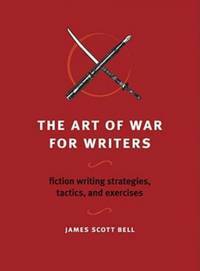 Drawing inspiration from Sun Tzu's The Art of War, the author offers tactics and exercises on idea generation and development, character building, plotting, drafting, querying and submitting, dealing with rejection, coping with envy and unrealistic expectations and much more. Original. 1998. Paperback. New. For Massage Therapists: ~Why a mentor is valuable and how to find one ~How to choose the best modality and advanced training ~The importance of bein a therapist, not just an aide ~How to structure the client-therapist relationship to deal with difficult clients ~Extensive appendix includes sample client intake forms, suggest mentorin activities, and detailed guidlines for forming peer support groups. 1997. Paperback. New. 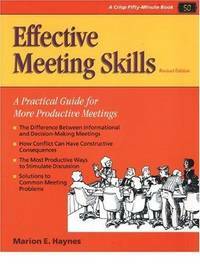 Achieve meeting objectives for all parties involved. 1994. Paperback. New. 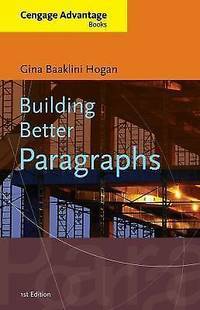 Covers the process of writing, forms of expression, research tools, proof reading, editing, and grammar. 2014. Paperback. New. Signed. Did you know that can you scroll a Web page just by tapping the space bar? How do you recover photos you’ve deleted by accident? What can you do if your cell phone’s battery is dead by dinnertime each day? When it comes to technology, there’s no driver’s ed class or government-issued pamphlet covering the essentials. Somehow, you’re just supposed to know how to use your phone, tablet, computer, camera, Web browser, e-mail, and social networks. Luckily, award-winning tech expert David Pogue comes to the rescue with Pogue’s Basics, a book that will change your relationship with all of the technology in your life. With wit and authority, Pogue’s Basics collects every essential technique for making your gadgets seem easier, faster, and less of a hassle. Crystal-clear illustrations accompany these 225 easy-to-follow tips.Tips include:Make the type bigger on your screen · Bring a wet phone back from the dead · The fastest way to charge an iPad · The 10 best apps to put on your phone · How to type symbols · Bypass annoyingly long voice mail instructions · Use map apps on your phone without an Internet connection · Sign a contract electronically · See what’s in a file without opening it · The 12 best free services on the Web · Turn off automatic bullets, lists, and links in Word · Protect yourself from online scams and viruses · Set up an automatic backup system on your computer · What to do about junk e-mail · Send photos so that they don’t bounce back · Print or email articles without ads · How to get money for your used electronics · Rename a bunch of files in one fell swoop · Make YouTube videos sharper · and much more.At last, you can lose that nagging, insecure feeling that you’re not the master of your own gadgets. 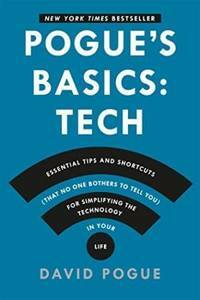 The tech tips in Pogue’s Basics are all you need—the shortcuts to a happier technological life. 2013. Hardcover. New. Who makes the important decisions in your organization? Strategy, product development, budgeting, compensation—such key decisions typically are made by company leaders. That's what bosses are for, right? But maybe the boss isn't the best person to make the call. That's the conclusion Dennis Bakke came to, and he used it to build AES into a Fortune 200 global power company with 27,000 people in 27 countries. He used it again to create Imagine Schools, the largest non-profit charter-school network in the U.S. As a student at Harvard Business School, Bakke made hundreds of decisions using the case-study method. 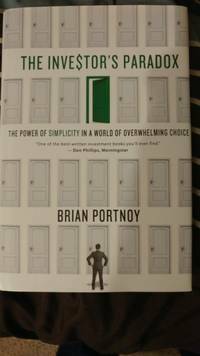 He realized two things: decision-making is the best way to develop people; and that shouldn't stop at business school. 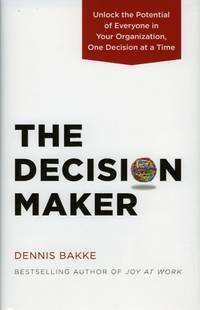 So Bakke spread decision-making throughout his organizations, fully engaging people at all levels. Today, Bakke has given thousands of people the freedom and responsibility to make decisions that matter. In The Decision Maker, a leadership fable loosely based on Bakke's experience, the New York Timesbestselling author shows us how giving decisions to the people closest to the action can transform any organization. 2000. Paperback. New. Robert E. Lee was a leader for the ages. The man heralded by Winston Churchill as ""one of the noblest Americans who ever lived"" inspired an out-manned, out-gunned army to achieve greatness on the battlefield. He was a brilliant strategist and a man of unyielding courage who, in the face of insurmountable odds, nearly changed forever the course of history. ""A masterpiece—the best work of its kind I have ever read. 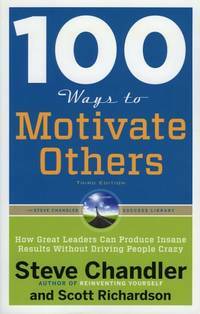 Crocker's Lee is a Lee for all leaders to study; and to work, quite deliberately, to emulate."" 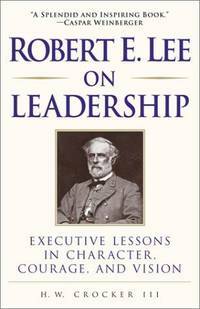 — Major General Josiah Bunting III, superintendent of the Virginia Military Institute In this remarkable book, you'll learn the keys to Lee's greatness as a man and a leader. You'll find a general whose standards for personal excellence was second to none, whose leadership was founded on the highest moral principles, and whose character was made of steel. You'll see how he remade a rag-tag bunch of men into one of the most impressive fighting forces history has ever known. You'll also discover other sides of Lee—the businessman who inherited the debt-ridden Arlington plantation and streamlined its operations, the teacher who took a backwater college and made it into a prestigious university, and the motivator who inspired those he led to achieve more than they ever dreamed possible. 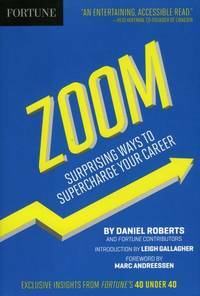 Each chapter concludes with the extraordinary lessons learned, which can be applied not only to your professional life, but also to your private life as well. 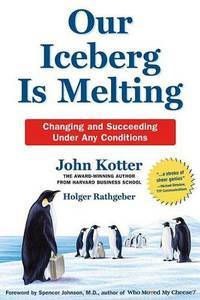 Today's business world requires leaders of uncommon excellence who can overcome the cold brutality of constant change. Robert E. Lee was such a leader. He triumphed over challenges people in business face every day. Guided by his magnificent example, so can you.